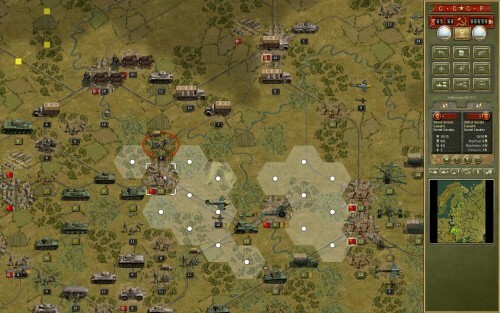 There was a wish to make hex turn-based "grand" strategy on WWII (actually not only WWII). I will try to make it on PZC engine. Although I would like to try to do at the extended PZC engine, so you can use a number of new ideas. And also because there is a large number of restrictions for PZC, especially for "grand" strategy. So, about what there is a speech. and winter counter-offensive of the Red Army. This is a very dramatic period of the war. Time period: 22 June 1941 - 31 December 1941. 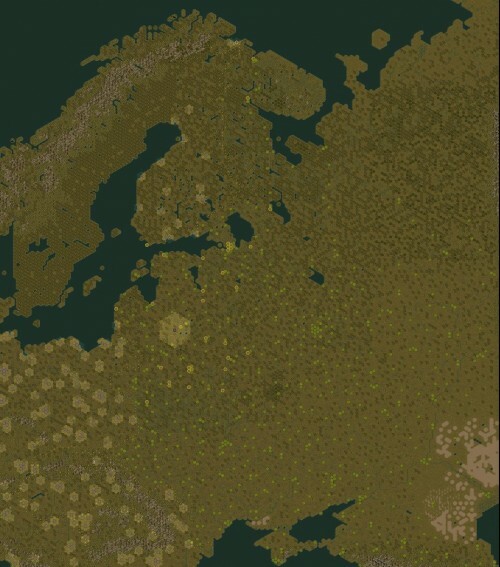 Map scale: 1 hex = 13-15km. Large map created based on real maps of the Red Army, 1941year. The exact location of the city, with the names of the time, the rivers, the railway roads and highways. Take command of the entire might of the Red Army. Accurate location of forces on 22.06.41. A absolutely new look at good PZC game from a different angle. Completely revised characteristics of units. Interesting units with unique abilities. More historical system of reinforcements and upgrade. The operations behind enemy lines, partisan warfare. 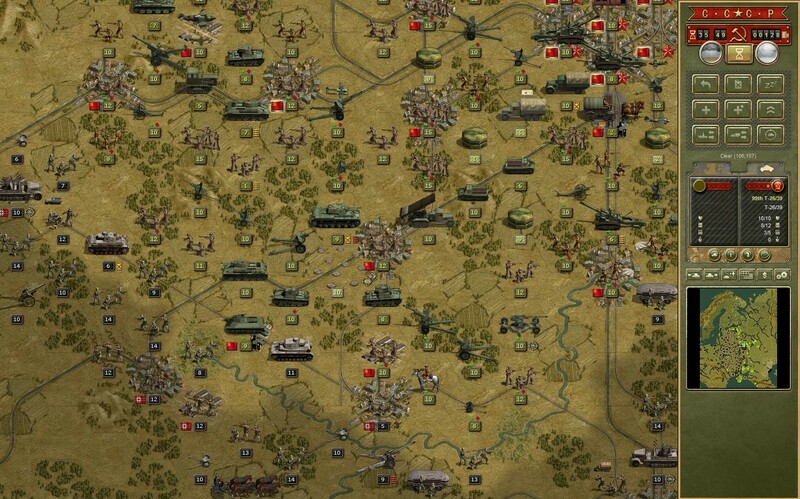 Thanks McGuba and Akkula, for a permission to use icons of units from their Mods Battlefield:Europe, Soviet Storm. I dont remember everything. If you find your units in a mod, write me and I will add them to the credits. And sorry for my eng. Last edited by Intenso82 on Thu Jun 01, 2017 6:57 pm, edited 15 times in total. And I decided to post the current version as BETA. Unfortunately, many small details remained unincluded, But time is limited. I can say that I made a few significant changes from my last testplay. And of course I would like to receive feedback. Many thanks for the icons of the units - McGuba, Guille and Akkula. Great job! 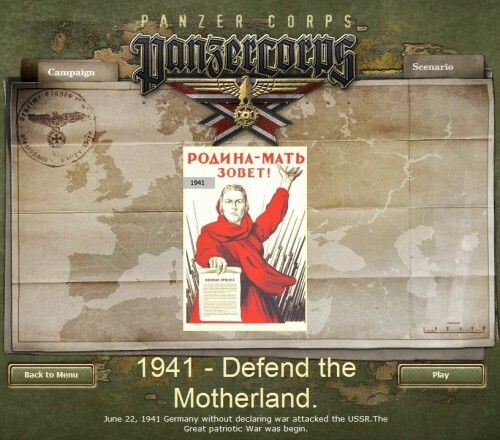 Thanks to the whole community of Panzer Corps. And special thanks to McGuba. (but then to remove the mod, it is necessary to reinstall the game again). McGuba wrote: Similarily to my BE mod, this mod is also not for the faint hearted. I would only recommend it to veteran players, and to those who like historical accuracy in wargames. Do not forget to specify these settings when starting the campaign. And yes, If you have not yet installed version PzC 1.31, do not forget to update it before the start game. Thanks to Rudankort for the patch that does this "AI should return its planes to airfields correctly when they run out of ammo." RAW1941 - v.0.7 - BETA. - Added reinforcements for both sides. - Mobilization units Sov. Conscript and the People's Militia. - New units - Zis30, Katyusha, Marines, Il-2, SMG. - Land-Lease units (Hurricane, P40) and tanks (Matilda, Valentine). - Guards infantry and tanks. - New and modified icons. (German and others). - New game mechanics: Hospital, Training Center (+3 exp. per turn), Upgrade Hex, Promote to Guard Hex. - Division of units into subclasses. - Many changes in the characteristics of the units. Last edited by Intenso82 on Thu Jun 01, 2017 7:08 pm, edited 8 times in total. Last edited by Intenso82 on Mon Sep 18, 2017 9:58 am, edited 4 times in total. I have a problem with running the mod. What can be wrong ? - Verify that you have copied/installed all the files. - Check and try switching to English language in the game. 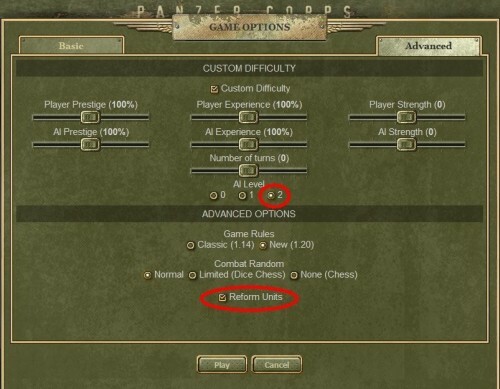 - If the game crashes constantly at different times, сheck that you are using the "PanzerCorps.exe" / nocache option. How long does the AI turn? What can be done with this? On my computer, the first turns of the computer take about 15 minutes. Perhaps on your computer will be less. 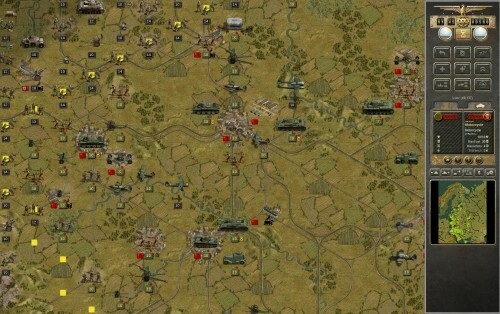 Further,, the intensity of fighting is somewhat reduced and the AI turn time also decreases. and Move the slider higher - Movement speed. Do I need to refill all units manually? You can skip the move to this unit. And if next to him there are no enemy units, the computer will refill it in the next turn automatically. 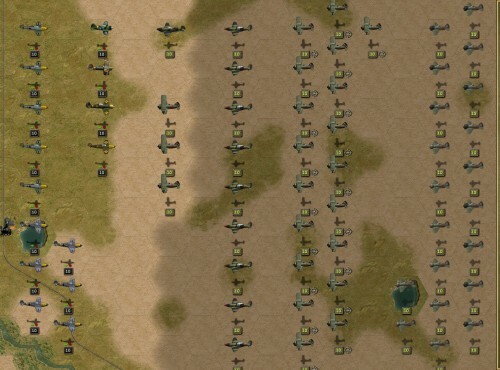 How many vehicles / infantry are in one unit? How to use the transit mode for aviation? You need to place the air unit on the airfield. Switch the unit to the mode - Landing. And click the Embark/Disembark(E) button. After relocating to the target airfield, in the reverse order. This is a new type of terrain. Being on them you can not upgrade units. But you can embark/disembark units in a train. So they have a CLOSE trait. How to use Railway engineers? If you see that the railways is blocked. You can move the engineer and unlock/repair the railway. Last edited by Intenso82 on Tue Apr 04, 2017 6:35 pm, edited 1 time in total. - STAVKA HQ unit. - DONE. - Soviet 76mm mountain gun M1938. - STZ-5 tracktor. - DONE. - Landed, Sea Plane (move only over sea hex, torpedo bomber, sea air recon). - Light Tracked, Wide tracked. - All Wheel (maybe add 6x6 truck, instead 4x4). - Ski (for Ski units). Last edited by Intenso82 on Tue Apr 25, 2017 10:02 am, edited 4 times in total. Will look at your mod closely. Where will we be able to take a look at the beta? Last edited by DoctorHaider on Fri Jan 27, 2017 8:18 am, edited 1 time in total. Where can we download this mod? Ok. Lets start it together. Im ready to start. PS. And I can speak Russian without accent. Last edited by Yrfin on Fri Jan 27, 2017 4:51 am, edited 1 time in total. DoctorHaider wrote: Will look at your mod closely. Where will we be able to take a look at the beta? While he has not yet reached the beta stage. I create a map, revised quipment, deployments of forces, some research. I assess the readiness of around 5% as the overall progress. First. AI scripting. Testing AI. and general testing. Tuning unit characteristics. The event, a message, and so on. Yrfin wrote: Ok. Lets start it together. Im ready to start. The concept and the details have been determined. For those who have tried to create a scenario known problem AI zone limit. These are good ideas for standard sizes PZC scenarios. There is quite a big map size, but not huge. This is realized in a small-scale test scenario? Or is it just an idea? If you want a detailed description can be sent to the PM (in any lang). But I can't guarantee that will include ideas in mod. Really need help with creating a new icon. In a minor edit existing icons. Animations, sounds for the units, all about efx file. Tuning characteristics of the units will be in the the testplays. When you approach the matter to the beta. - Help with video editing, music editing. - The correct translation of messages on good english. - The creation of the library. In the beginning there was no certainty that the engine will sustain such a large number of units. Now no exact confidence that will adequately adjust the AI. Some ideas work, some do not, that's normal. But I'm not in a hurry. We are moving "step by step". I read american, germany, russian and soviet books and history sources - its tons of information. But is not so fast. but no, this is absolutely not relevant to this project. Before start a Big Project, maybe better start few small-scale "training" scenarios for presentation and testing ? I can help with Hasan/Halkin-Gol/Winter War 1939 scenarios for beginning (with sound and video support). PS. And one more question. We're have same Projects like BattleField: Eurore and Soviet Storm. Whats differents between your Project and others ? Yrfin wrote: Before start a Big Project, maybe better start few small-scale "training" scenarios for presentation and testing ? I can help with Hasan/Halkin-Gol/Winter War 1939 scenarios for beginning (with sound and video support). I had planned in the future to add Halkin-Gol, the Finnish war and may be Polish campaign. But after the release of the main part. As a prequel. Do these scenarios separately, without knowing whether it will turn the main scenario of 1941, I would not want to. At the rate of 1 scenario = 1 campaign. Yrfin wrote: PS. And one more question. We're have same Projects like BattleField: Eurore and Soviet Storm. Whats differents between your Project and others ? I think it strange to compare released mods and not released. BE and Soviet Storm is excellent mod. Battlefield it like as different game on the PZC engine. When I saw BE, I have thought, oh, what was only in my mind, already is realized, it is cool. I like it. Of course I use the idea of ​​these mods and add my own. 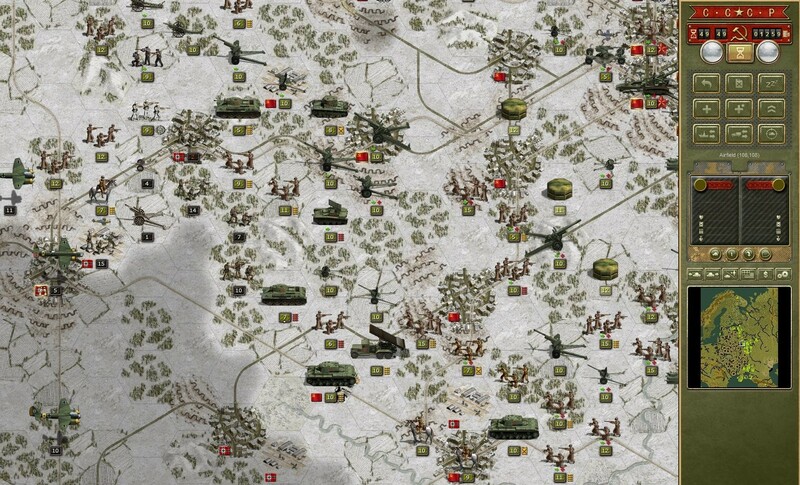 Soviet Storm: - different map scale, time scale, unit scale. Last edited by Intenso82 on Sat Jan 28, 2017 11:45 am, edited 1 time in total. For the initial deployments was counted each aircraft for both sides. For the Russian side and the actual location of air divisions were identified. (This fighter, mixed, bomber and long-range bomber air divisions). The resulting figures were converted to the number of air units by type and model of aircraft. And spread across divisions and geschwader in accordance with the actual number of aircraft in each division. 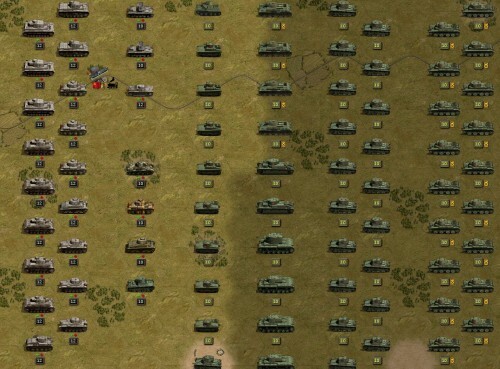 1 unit = 200 tanks. Similarly, all the tanks by type were counted and distributed in accordance with the amount in which they were in each division. Of course with some assumptions. But with preservation of total of tanks on models. but in reality, somewhere there were 100 tanks, where some 400 tanks. All this is considered. Also, a correction to the number of combat-ready tanks was made. This is less than it was in the Red Army on the list. In the future also the coefficient of noncombat losses of the equipment, tanks and planes will be considered. For the Red Army is about 50%. 1 unit = 1 division. The initial position corresponds to historical in border districts. Where I had the information about it. 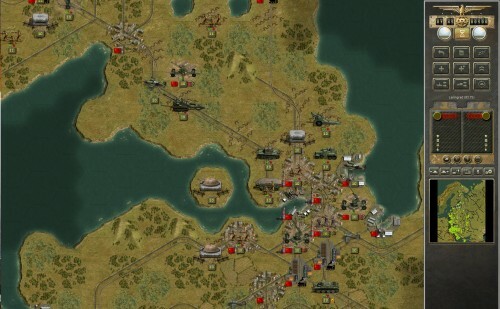 Groups of armies and fronts may be given engineer units and bridge engineer. These parts are considered attached and considered by TOE. Rifle corps consists of 3 infantry divisions. This 3 infantry unit. For every 3 inf. 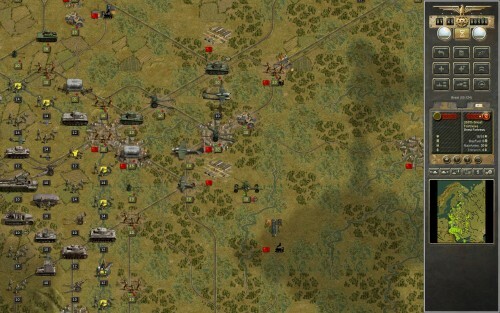 unit, is added 1 AT unit and 1 unit of divisional artillery. Also, the army can be given to corps artillery units, AA units and high power art. units for the Red Army. The German and Russian divisions differed in size almost twice in German favor for the most of the war. Is it reflected in the unit stats? DoctorHaider wrote: The German and Russian divisions differed in size almost twice in German favor for the most of the war. Is it reflected in the unit stats? But to stand and wait on clear hex, or to attack without the support its a really bad idea. Although there may be people who are used to playing on Manstein it will not be difficult. 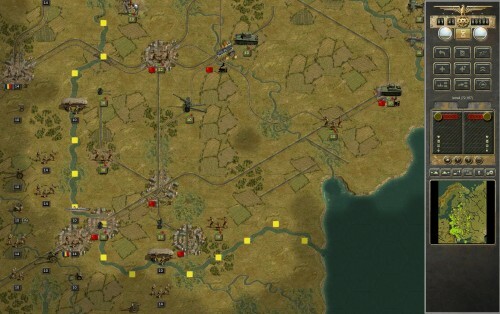 In the early stage of mod was the idea to realize a wave of German infantry divisions. 1 strength point = 1 thousand soldiers. Then German divisions would have the strength of 10, 13,14,15, 16, 18 depending on the wave number. Now the strength is reduced to 12 (mnt) - 14 (inf) - 16 (Moto) div. Type 12 - peacetime, about 9-10 thousand and wartime about 14 thousand. At the beginning almost all were peace time. In the subsequent, because of a lack of control and people the size of divisions has decreased. 1 inf. unit (for rus.) = 2 inf. div. Something is reflected in mod, something isn't present. There is no such task to make 100% historically. There is a wish to make something more historical else left for gameplay. Purchase - not available for both side. Reinforcements, Reforming, Upgrade - available. One of the main ideas that limit the number of units in classes. For example to the player did not have a lot of heavy tanks. And there were historical proportions. For old equipment or equipment produced in small amounts to 100-200 used trait - Noreplace. For example for heavy tanks, artilleries of big power and some other units used trait - Noupgrade. Various combinations of Noreplace, Noupgrade, Available period are also possible. It is interesting in any game/mod using historical weather data? Intenso82 wrote: Added historical weather. I don't know if it's such a good idea...it makes the game more predictable this way. tenshin111 wrote: it makes the game more predictable this way. Believe a game doesn't become predictable. I took daily weather data and convert them into % of rain, snow and clouds at a monthly. I ran two times a game. And every time I was very surprised by the weather. When I put 100% rain for 1 turn, it does not always work.